I'm lucky enough to be blogging from South East Asia. Right now I'm in my pants by the pool, somewhere off the coast of Thailand. It's 32 degrees - I'm living the life. But more and more since I've been here, I've noticed something which is a bit of a shame - the mess. Bin's out on Thursday doesn't exist in Bangkok, and there's no 5p charge for plastic bags. If you want to buy a banana, you have the choice between grabbing a tiny bunch from a woman on the street or one that's shrink-wrapped and bagged from a 7-11. And it really hit home when I went snorkeling yesterday - among a load of plastic bags and dead coral. Yuck. I grabbed this picture off the internet - but actually snapped the main one for this article on my phone. Both are grim. But Aren't People Environmentally Conscious These Days? This seems quite weird to me - I guess because in the UK caring for the environment has been drilled into my generation. I have a lot of vegan friends, follow environmental activists on Twitter and saw the damage humans have done to the sea in Blue Planet II. Don't get me wrong, I'm no environmental activist - I've been refusing plastic bags and putting my litter in bins but I'm definitely not a shining example. The point I'm making is that I am, at least, aware of the damage that we have on our planet. There are exceptions to the rule, but here in South East Asia the rule seems to be that no-one has even really heard of sustainability. When I asked one woman in Bangkok if there was a bin to put some litter in, she laughed and told me: "Thailand is bin!" Of course, that's just my experience, but I think that's why it's become more pertinent to me. When I read that nine of the ten most polluting rivers are in Asia, it was an abstract notion to me - but when I walked past a gentle flow of plastic bottles in Bangkok it became a bit more real. Air pollution, animal conservation, coral reef destruction and more are problems which we in the UK think of as being tackled. Don't get me wrong, it's not that people here don't care about them. The fact is they simply aren't aware that caring for our planet is incredibly important. I doubt that anyone would chuck bits of Styrofoam in the sea knowing that it will kill the fish and birds who nibble on it - but out here this is still a massive problem. Even the multi-national corporations like 7-11 (who I would have thought were required to be environmentally conscious) show no sign of awareness. It's appalling! In fact, you'd be forgiven for wondering if anything at all is being done. 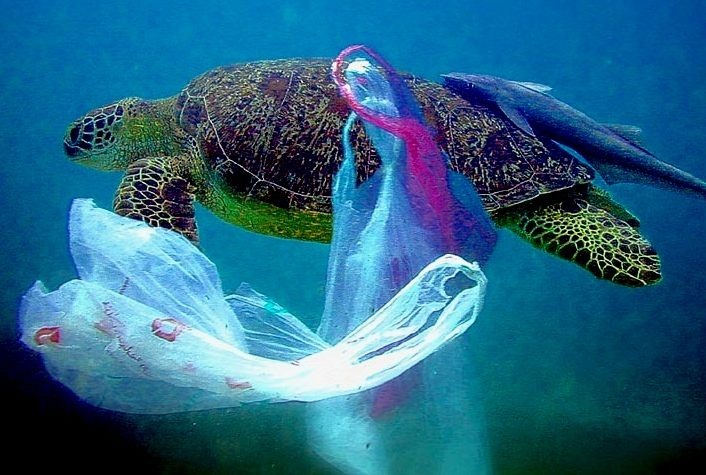 I recently read an article online stating that Mumbai has passed new laws, whereby anyone caught with a single-use plastic bag can be fined or jailed. Trust me - if that were passed in Bangkok there'd be no-one left. Yesterday I also came across a place with recyclable straws. It feels like there could be a teeny, weeny bit of momentum building behind the cause... But certainly not much. So this post poses a question. 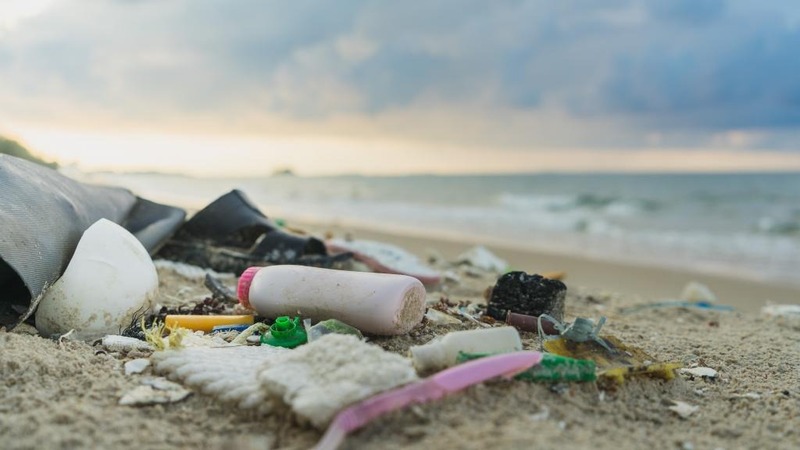 In richer countries like the one I come from, many people are aware of the risks to our planet which are posed by littering, polluting and being careless. But how can we help this idea spread? Western travelers come to places like Thailand to enjoy the cheep beer and lush beaches, but we should surely be doing more to educate others in the world about this globe-spanning problem - which requires a global effort to tackle. How could we spread the word? If you're traveling South East Asia and have had similar experiences or think you can answer some of my questions, please reach out to me on LinkedIn or in the comment section! Image Sources: Polluted beach - Oceana; Turtle - Max Energy Limited.